The term “publican,” as rendered in earlier versions (e.g., KJV/ASV), and “tax collector,” as found in later translations (e.g., NIV/ESV), translates the Greek word telones. The term is found twenty-one times in the New Testament and only in the first three Gospel records (the Synoptics). The taxation systems of the antique world were elaborate and complicated. When a strong political power conquered a country, they generally farmed out tax collection privileges to contractors (who bid on them for protracted periods of time). The “tax farmers” then employed local citizens within the subjugated territories to garner the revenue on behalf of the tax corporations. These tax collectors, the publicans of the New Testament, had considerable latitude in some of the fees they set, which lent itself to corruption and corresponding resentment. Publicans were a dreaded and despised class among the Hebrew people, and for the following reasons. Publicans were often oppressive and dishonest. They were widely known for their graft (cf. Luke 3:12-14; 19:8). Their taxation programs were oppressive. William Barclay describes the system vividly. There was a purchase tax on all that was bought and sold. There was bridge money to be paid when a bridge was crossed; road money to be paid when main roads were used; harbor dues to be paid when a harbor was entered; market money to be paid when a market was used; town dues to be paid when the traveler entered a walled town. If a man was traveling on a road, he might have to pay a tax for using the road, a tax on his cart, on its wheels, on its axle, and on the beast which drew the cart. There was a tax on crossing rivers, on ships, on the use of harbor quays, on dams; there were certain licenses which had to be paid for engaging in certain trades" (61). The publicans were so distrusted that they were prohibited from testifying in a court of law. Banks disdained their business, and even their charitable gifts generally were refused. The Jews considered any sort of evasion (including outright lying) ethical in order to avoid paying taxes. It was “situation ethics” at its best (or worst)! Jewish publicans were considered pagan allies. The publicans operated in collusion with their pagan superiors and so were considered to be traitors. Too, they frequently had contact with Gentiles, so they were considered unclean. Even to handle a publican’s walking staff made one ceremonially contaminated (Michel, 101). The New Testament indicates that the Jews considered tax collectors as in the same category with “sinners” (Mt. 9:10-11; 11:19; Mk. 2:15-16; Lk. 5:30; 15:1), “harlots” (Mt. 21:31-32), and “Gentiles” (Mt. 18:17). The rabbis viewed them as on a level with “highwaymen and murderers” (Edersheim, 57). There are several compelling apologetic points in the New Testament that may be drawn from what we shall call “the publican factor.” Consider these matters. Jesus was a friend to the despised. Jesus Christ is described as being friendly with the publicans. He let them “draw near” to him (Lk. 15:1), went into their homes (Lk. 19:5), sat with them (Mt. 9:10), ate with them (Mt. 9:11), and was a “friend” to these despicable people (Mt. 11:19; Lk. 7:34). Modern critics allege that the New Testament is an unreliable record — that it attempts to veneer the origin of the Christian movement in a strictly favorable light. If that is the case, why in the world would the “hucksters” who “fabricated” the Synoptic accounts have described their hero [Jesus of Nazareth] as a disreputable character that fraternized with the commonest dregs of first-century society? That makes no sense at all. The Jesus-publican camaraderie certainly would not have appealed to the Jewish mind! There are three cases of individual publican personalities that punctuate the Gospel narratives. There was Matthew, the apostle (Mt. 9:9), who abandoned his tax business to follow the Savior. There is the humble praying publican who adorns Jesus’ parable of “the Pharisee and the Publican” (Lk. 18:9-14), who Christ uses as an illustration to condemn the self-righteous disposition characteristic of many of the Pharisees. Finally, there was Zacchaeus, the chief-publican at Jericho (Lk. 19:1-10), in whose home the Son of God was a guest. Each of these characters is presented nobly. They are heroes! Is this the sort of imagery that ordinary journalists would present in attempting to endear Jesus Christ to the common citizen of Palestine? Hardly. It is a subtle indication of the Spirit of God behind the production of the Gospel documents. Consider more closely the fact that Jesus chose Matthew, the publican, as one of his apostles (Mt. 9:9; Mk. 2:14; Lk. 5:27). This could have been a potentially disruptive element for two reasons. 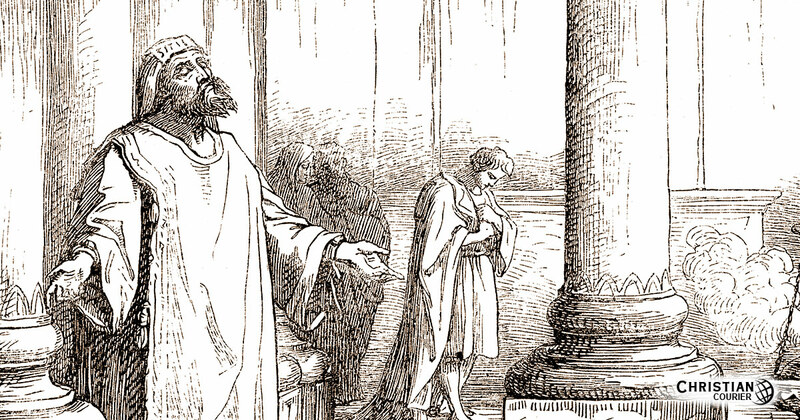 First, Matthew’s vocation and the general reputation of such in the first century certainly could have caused many problems for the Lord’s mission. Second, the fact that Simon the Zealot was also in the apostolic band was a potential source of internal conflict (Lk. 6:15; Acts 1:13). The Zealots were a Jewish politico-religious sect that arose in those bloody days following the imposition of a Roman governor, after Archelaus, son of Herod the Great, proved to be a disastrous ruler and was deposed (Mt. 2:22). To combine a Zealot with a publican was an explosive mix. Certainly, the arrangement was not one that likely would be incorporated into a narrative that sought credibility with Palestinian Jews. In truth, however, it is a brilliant commentary on the transforming influence of the Prince of Peace. In addition, it constitutes another piece of evidence for the authenticity of the New Testament. Finally, think about this. When God wanted to prepare a Gospel record that was specially designed to reach the Jewish people, he chose a publican to do it, namely Matthew. Scholars have long observed the specially designed Jewish thrust of the apostle’s Gospel narrative. But how could such a procedure possibly be effective — especially since Matthew is more derogatory with reference to publicans than the other two Synoptic writers (Hagner, 742)? What literary charlatan would ever have dreamed of such a scheme? When all of the relevant New Testament information is considered in concert, the “publican factor” becomes a subtle, though powerful, piece of evidence pointing to the sacred origin of the documents that chronicle the life of our Lord Jesus Christ. Barclay, William. 1959. The Master’s Men. Nashville, TN: Abingdon. Carson, D. A., Moo, Douglas, Morris, Leon. 1992. An Introduction to the New Testament. Grand Rapids, MI: Zondervan. Hagner, D. A. 1988. The International Standard Bible Encyclopedia — Revised. Vol. 4. Edited by G. W. Bromiley. Grand Rapids, MI: Zondervan. Michel, Otto. 1972. Theological Dictionary of the New Testament. Vol. VIII. Edited by Gerhard Friedrich. Grand Rapids, MI: Eerdmans.